For hundreds of years, local communities have been an essential part of everyday life for human beings. Everyone belongs to a certain local community, and the community provides her/him with necessary basis for survival, production, re-production, and identity. However, as modernization prevails everywhere in the world, most of traditional local communities are facing rapid changes both in internally and externally. Even though local communities are still a core of life for many rural people, it is not easy for many local communities to maintain traditional collective activities, human relationship, norms and regulations. If a development practitioner wants to facilitate community-based development activities, he/she must have clear understandings about basics of local community and recent changes it faces because of rapid modernization of the whole world. In this article, it is expected to provide you with some perspectives on local communities based on the history and experience of Japanese local communities. From the very beginning, human beings have been utilizing natural resources for their survival. All kinds of food materials come from natural resources such as forests, grass lands, agriculture fields, rivers, and the sea. Water, an essential material for both human lives and agriculture production, is also a product of nature starting from rain fall, stored in forest and soils, and flowing through streams and rivers. Of course, besides foodstuff, people also need natural resources for their clothes and shelters. In other words, human beings totally depend on natural resources for their livelihood and production. 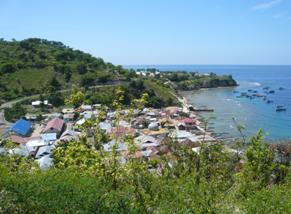 One of the important functions of local community is to manage these natural resources collectively in a sustainable way. If any kind of natural resources is over-exploited beyond the carrying capacity of the nature, that resource will be exhausted, and the livelihood of the people depending on that natural resource will be threatened as a result. In order to avoid such situation, and to be able to utilize natural resources sustainably, human beings have to construct systems of natural resource management among them. This is one of the reasons why human beings have to live together, interact together, and formulate “local community”. In Japan, many communities have been maintaining “Iriai” system as a collective natural resource management system. Iriai is generally defined as “a system or organization where the local residents of a certain area (usually a community or several communities) jointly utilize and manage mountains, rivers and land.” Concrete rules and practices of iriai vary from place to place, and change from time to time, yet the unique characteristics of iriai practices are 1) Consensus by all, 2) Right of common property for the people living in a community, and 3) Equal access, equal responsibility among it. Based on this iriai system described above, many community people in Japan have been maintaining forest and other natural resources vital for their livelihood collectively in a sustainable way. It can not be denied that every human being requires other’s help for his/her daily life. You can easily imagine that if you can not expect other people’s help except for your own family members, how your everyday life might be very difficult to live. You need others’ help for repairing roof materials, planting and harvesting agricultural products in a short period, or at a time of marriage or funeral ceremonies, or when you have to work outside without no other family members who take care of your children . In Japan, there is a system called “Yui” that facilitate mutual help among community members. In many traditional communities, there are small groups consisting of neighboring families (yui) that provide mutual help for farm work that requires intensive input of labors such as planting and harvesting. There are also yui for repairing houses especially thatched roofs, and yui for funerals. Usually in those yui practices, there is no exchange of money between those who receive and those who provide helps. It is basically reciprocity relations among community members. There is another practice of mutual help in traditional communities of Japan, called “Kou”. Kou is a kind of self-help groups where community people gather for particular objectives such as religious, financial, or entertainment matters. There are kous mainly for economic activities such as “tanomoshi-kou” that is one of good examples of ROSCA (Rotated Savings and Credit Association). By observing such practices of mutual help in the traditional communities of Japan, we can conclude that human beings require communities that provide mutual help relations among members for their everyday life, production, and re-production. Apart from materialistic point of view, communities have been providing most of human beings with mental or psychological security for them. Sense of belongings, or feeling of “being at home” is important for most of us to maintain own identities. This sense of belongings is created through the fact that the members of a community share the same history, tradition, culture, same natural resources, and same destiny. They feel that they are not alone, connected with not only each others, but with super-natural, spirits, or the god(s). They also think that their community has been continuing from generation to generation, thus they feel strong ties with their ancestors and descendants. Even the people living in modern cities feel that they belong to original local communities where they are from, and in long holidays, we observe that millions of city dwellers rush to their home villages or towns in many countries. In Japan, “Matsuri” (festival) of “Uji-gami-sama” (locally believed guardian deity) is one of the important annual events for traditional communities. There are various ceremonies and rituals for praising their Uji-gami that have to be followed by the community members, and every part of community has particular role to play in the festival. 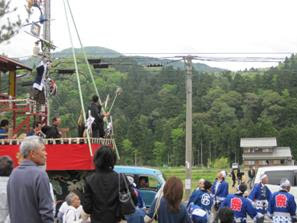 By participating in the matsuri, community members can strengthen sense of belongings, and also feel strong tie with the nature, history, ancestors, and supernatural in their community. Those three functions of community described above require specific rules and regulations that are commonly accepted and followed by the community members. In the case of Iriai forests in Japan, there are various kinds of rules in each community to control usage of forest so that the natural resources in the forest are maintained in a sustainable way. When community members discuss about any decision regarding rules or regulations of the community, there should be specific decision making system for each community. In Japan, “Yoriai” is a common practice of decision making system in traditional communities. Usually, all the heads of households in the community attend a yoriai meeting, and the decision of yoriai meeting is taken unanimously, not by majority vote. It is very important that all the participants share experiences and views among each others, and finally reach accommodation based on all the participants’ views and opinions. After the decision of yoriai meeting, all the members are expected to follow the rules or regulations, and there is also a system of sanctions or penalties for those who do not obey them. The above described functions of communities might be specific characteristic of Japan based on particular historical and cultural background. There must be many variations of real communities in terms of their functions and internal systems reflecting various socio-economic and cultural background of each community. However, as we see the very nature of human beings, it is inevitable that we require any kinds of “groups of people” that manage relations between human and nature, human and human, and human and the supernatural. And for a long time, local communities have been playing much important role for such functions, and therefore they have maintained own system of decision making. However, in many countries including Japan, functions of local communities described above have already declined as modernization started and has taken deep root in the society. Even in the developing countries, ties of traditional communities have started to weaken as western life style and urbanization took place. Why local communities decline as a society is modernized? If we look into the world history, we can find two major factors that characterize progress of modernization; nation state and capitalistic market economy. Modern state is characterized to have centralized government that holds absolute power to control over resources within its territory. 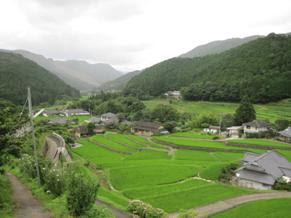 In Japan, when “Meiji” government took over from feudal “Edo” shogun government in the late 19th Century, it introduced a policy to abolish iriai system, and tried to convert community-owned forests to be national properties or private ones. Main objective for the policy was to ensure taxation from land owners, but it also aimed at utilizing natural resources in the country much more effectively in order to achieve rapid economic development. Some of the forests that had become national properties were utilized for mining or manufacturing factories. Such practices of nation states to nationalize and commercialize community properties still occur in many of the developing countries. Nation states also created “citizens” who hold identity to the nation. In order to integrate all the areas within the territory at early times, and then to compete with other nation states especially at the era of imperialism, it required its citizens to feel strong identity to the nation. Later on, when democracy became common value for the nation states, the governments (both central and local) have become entities that hold sole responsibilities to protect their citizens and to provide necessary services to them. All those things above have influenced functions of local communities. They lost rights to manage various natural resources originally owned and controlled by the communities, and as a result, collective actions in the communities based on own decision making system have also declined. Creation of national citizens also influenced sense of belongings of the community people who now feel more identity to broader entities such as nation, ethnicity, or even “global citizens”. And finally, introduction of “welfare state” that provides necessary services to its citizens has weakened functions of mutual help in the local communities. Another driving force of modernization, capitalist market economy, has also given crucial influence on the functions of local communities. It requires a system of “absolute right of property” that enables free economic interaction among the individuals. Communal lands were converted into private individual properties so that people can easily sell and buy in order to gain economic benefit. Again, control over common property resources by local communities was demolished and people became more and more individualistic to pursue economic gain. Community people who sought cash income migrated into the cities and became labor force for industries, and as a result, community ties and the system of mutual help were destroyed. In addition to those physical impacts on community functions, penetration of market economy gave deep influence on the values of traditional local communities. In the world of market economy, everything is measured by economic rationality. It does not give value on voluntary actions if they do not produce immediate economic benefit. “Time is money” has become important motto for most of “modernized” citizens. Mutual help, or reciprocity relations among community members are considered not to be economically rational. People have become much busy in pursuing individual economic benefit rather than giving time for “un-productive” or “non-profitable” activities of local communities. Thus, as nation state and capitalist market economy are the two key driving forces for modern world, we have to admit that the decline of local community is inevitable. In the modernized globalization era, this is a common phenomenon that is observed in almost all the places in the world. However, is there nothing remains for local communities to play any role or function in the modern or post-modern world of globalization? The answer may be “no”, if you look into the present situation of Japanese society. There are many problems faced by Japanese people, such as rapid aging society with fewer children, depopulation in the rural area and too individualistic over-populated urban area, increasing number of economically poor households, or violent crimes both in urban and rural areas. In general, it becomes obvious that the government of Japan (central and local) can not provide all the necessary public services to the people because of financial deficit and limitation of their resources. On the other hand, private sector can not cover all the necessity of the people because it has to compete in the global market to gain profit. It is because of such limitation of both public and private sectors to provide sufficient services that the non-profit and non-government organizations (NPOs and NGOs) are increasingly playing important roles for tackling various problems in Japan. Yes, other than nation state and market economy, we need something similar to the traditional local communities that are able to manage common property resources, to facilitate mutual help, and to give us sense of belongings. 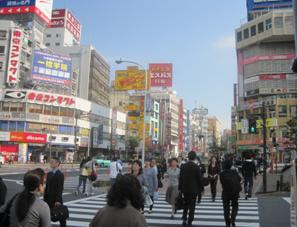 It can be a revival or re-construction of local communities, or it can also be new types of communities, such as NPOs now being much active in Japan.